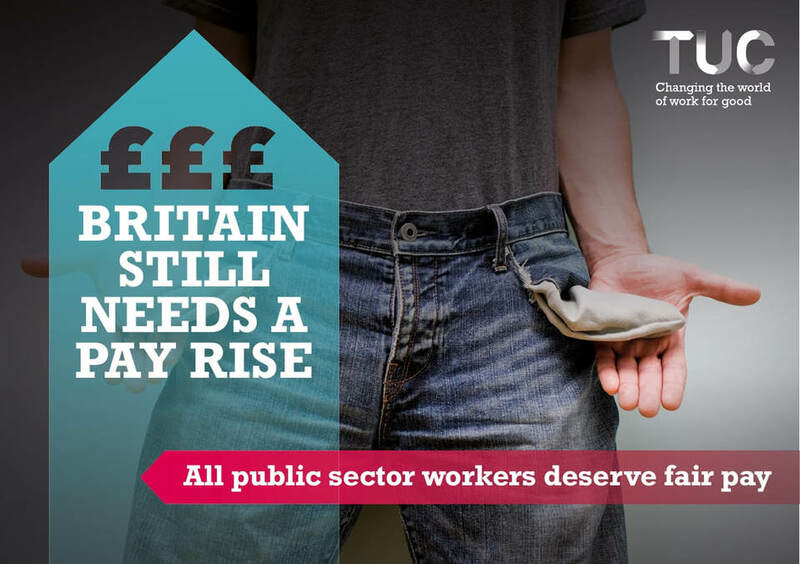 Write to your MP to help keep up the pressure in Parliament for a fair pay rise for public service workers. It only takes a minute, and we can help you find your MP and send them an email. Mc Donald's workers who are members of the Bakers, Food and Allied Workers' Union (BFAWU) are going on strike in Cambridge and Crayford, South East London on Monday 4 September. The strike has been called over a number of grievances at the two workplaces, and the workers are also fighting for £10 an hour minimum wage now, union recognition, and for the scrapping of zero hours contracts. More information is at the Fast Food Rights web site. Please join us if you can. 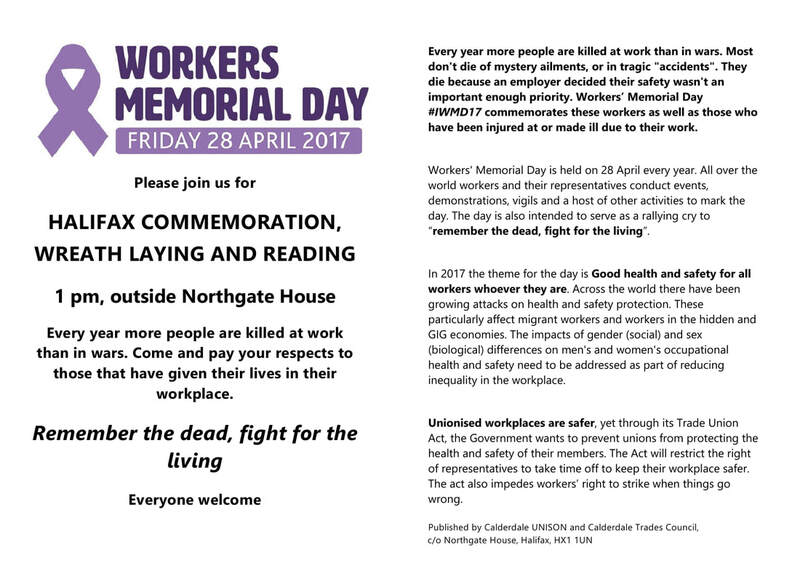 We also intend to leaflet workers at other McDonald's branches in Calderdale afterwards. 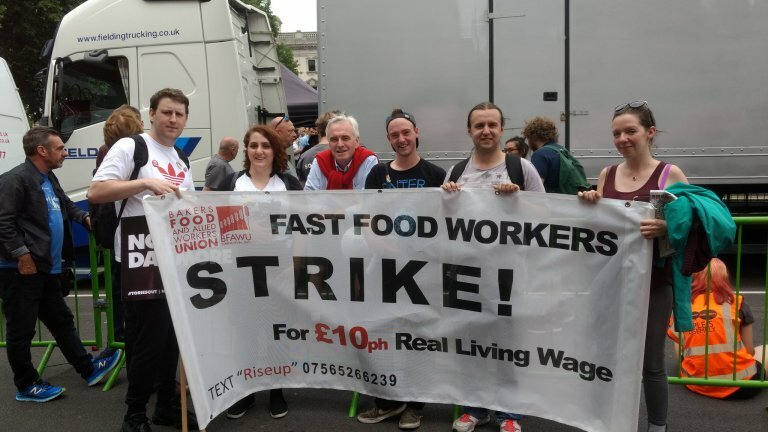 Please donate to the Bakers' Union Fast Food Rights Campaign strike fund. 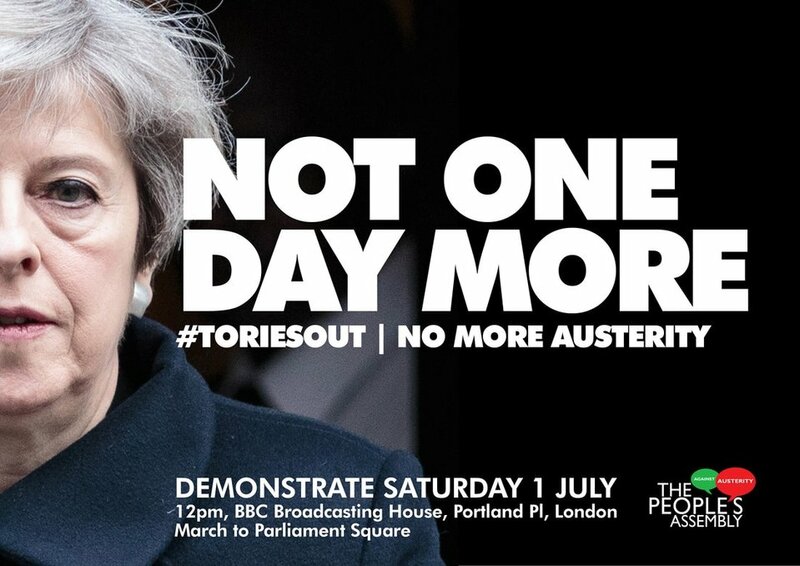 to the Not One More Day #ToriesOut demonstration in London Saturday 1 July. no: 18184235, sort code 05 09 04. Please quote the reference 010717 with your payment. If you choose this method to pay or wish to make alternative payment arrangements, please e-mail richard.purdie@virgin.net or text 07941 355272 to book your coach place including where you will be joining the coach. Some financial support is available for unwaged Calderdale residents struggling to afford the £10 fee, but you need to register this directly with Richard, and this also applies for any under 16s. 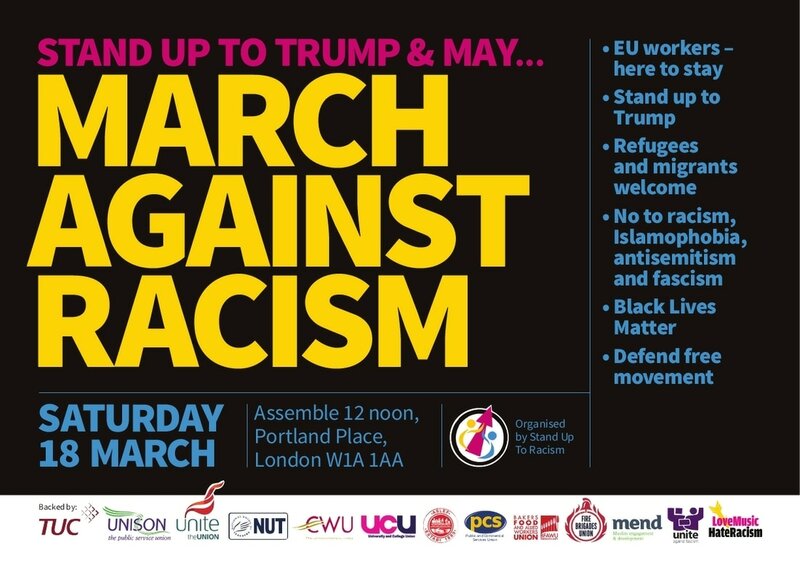 If you are members of Unite, please let Richard know your full name and membership number so that your local PA can invoice Unite for your booking. 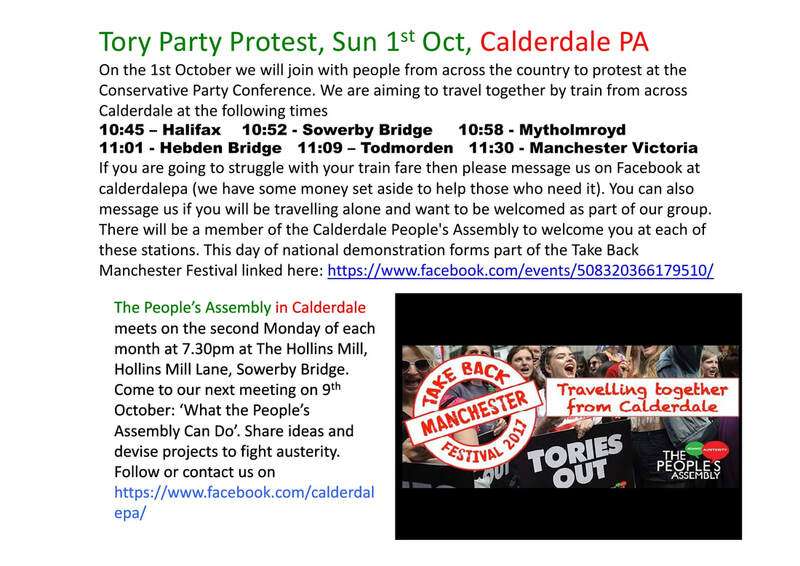 Calderdale PA’s facebook page https://www.facebook.com/calderdalepa will carry further details of the march as these are published. 15 proposed redundancies in Halifax; over 100 proposed redundancies in York. 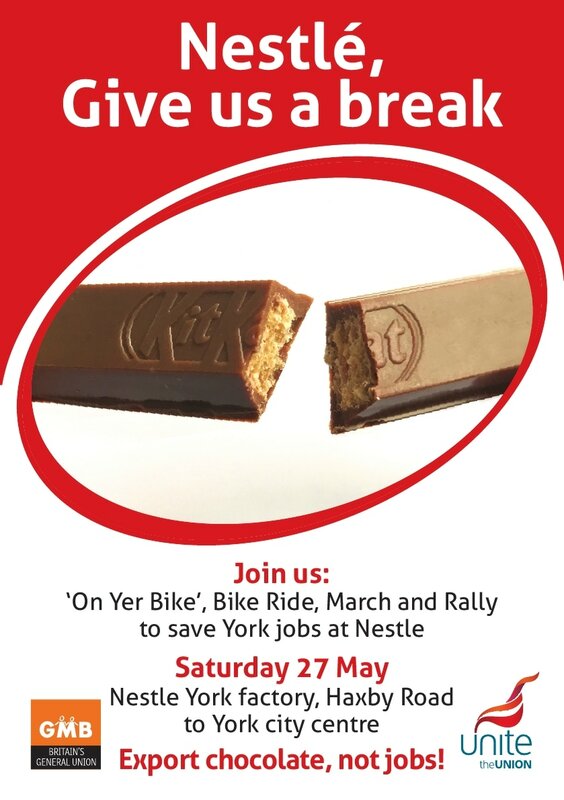 Nestlé is cutting over a hundred jobs in York. The iconic Blue Riband chocolate biscuit is moving to Poland, ending over 80 years of production in the UK. The confectionery giant – the world’s biggest food company – is making the cuts, despite raking in £21bn from sales. Now we need Nestlé to live up to that proud legacy and start exporting chocolate, not jobs. 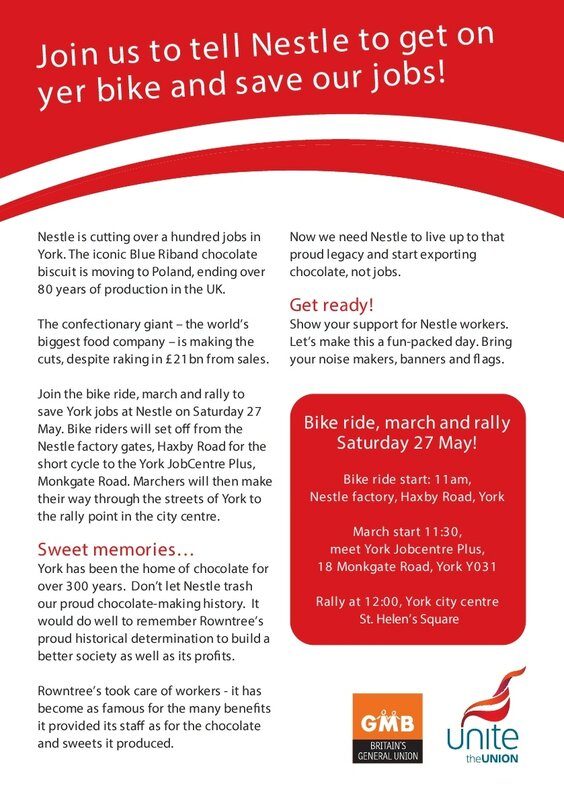 Show your support for Nestlé workers. Let’s make this a fun-packed day. 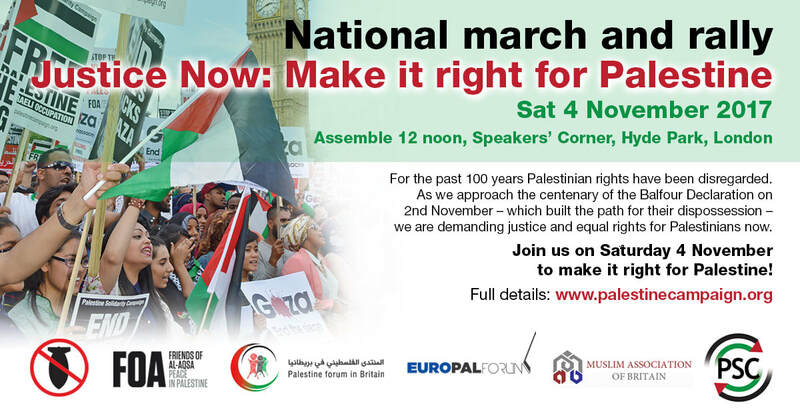 Bring your noise makers, banners and flags. Tickets for either event should be booked in advance via https://www.ticketsource.co.uk/calderdalenut and are limited to 2 tickets per person. Calderdale has had little in the way of celebrations of May Day, International Workers' Day, for several years. In 2017, Calderdale Trades Council is changing this with a programme of films, speeches, discussion and music and a local Labour Movement History Walk. 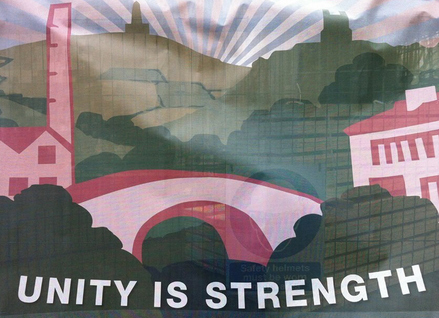 Please ‘Like’ the Calderdale May Day Facebook page at https://www.facebook.com/calderdalemayday. 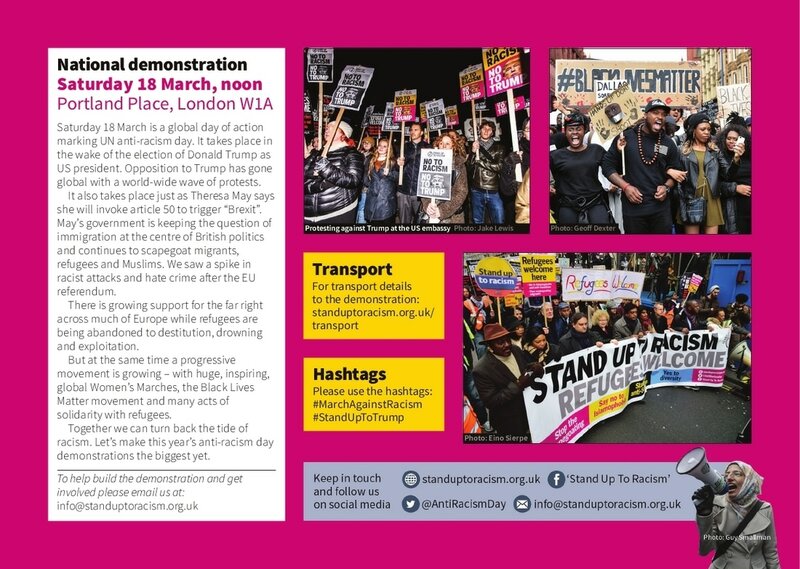 The Calderdale May Day web site is at http://mayday.calderdaletuc.org.uk and we will be tweeting lots about May Day from @calderdaletuc on Twitter. Thanks to GMB and Pride Design and Print for their sponsorship for the Calderdale May Day programme. Orgreave” where 95 miners were “beaten up, fitted up and locked up”. 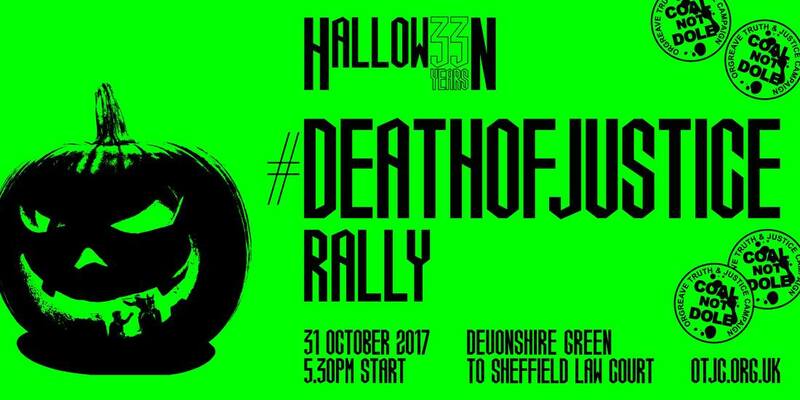 The Orgreave Campaign see it fitting that this decision was made on Halloween as we all know it’s the old monsters and ghosts of the Tory party who where responsible for the injustice then, that denies us justice now, 33 years later. 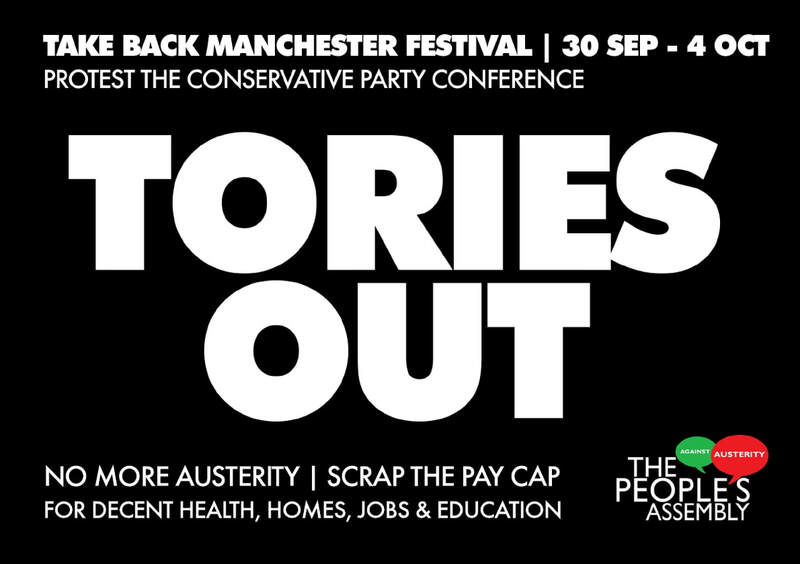 Unite Community and OTJC are looking to organise transport from Calder Valley / Halifax to this event; please email Rose.Ridley@unitetheunion.org if you are interested in attending. Contact us for information about transport from Calderdale. 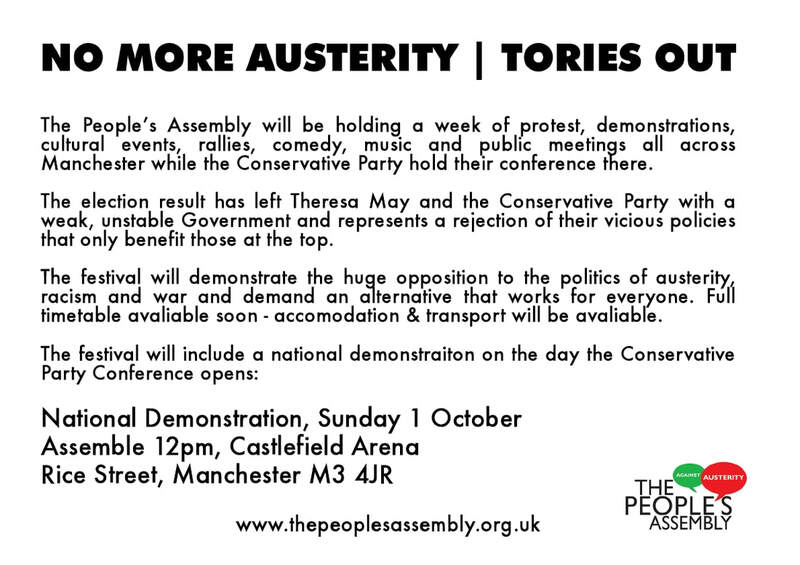 Demonstrate against the Home Secretary's shocking decision not to grant an inquiry into "The Battle of Orgreave". 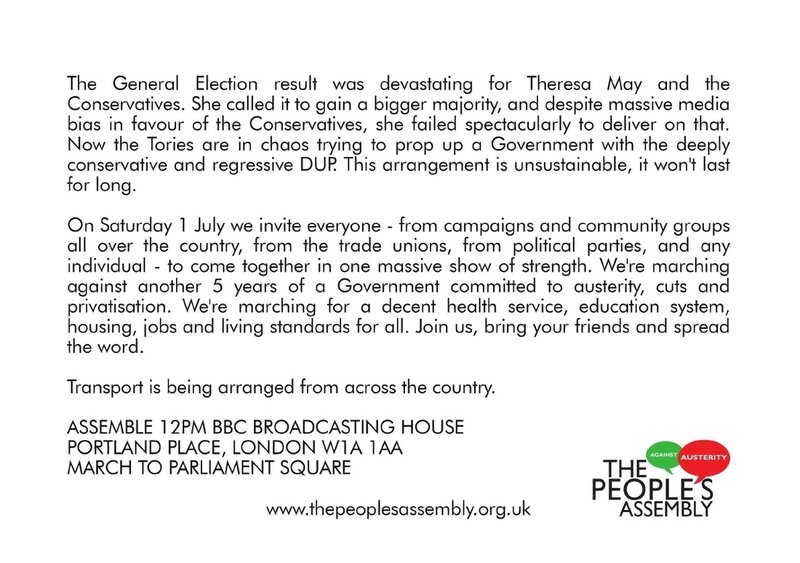 We are hoping to show how angry our community feels about the decision so have billed the Demonstration as a "Noise Protest" Bring Drums, Pots and Pans, Loud Hailers, Sirens, Whistles, Sound systems And.....Your voices! Let's tell the Government we won't be silenced! 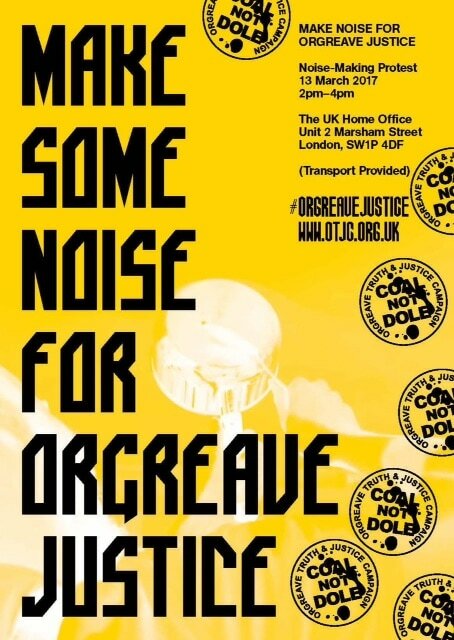 OTJC orgreave Truth and Justice Campaign Make some Noise for Orgreave: 13th March 2017 from Livingstone Media on Vimeo. 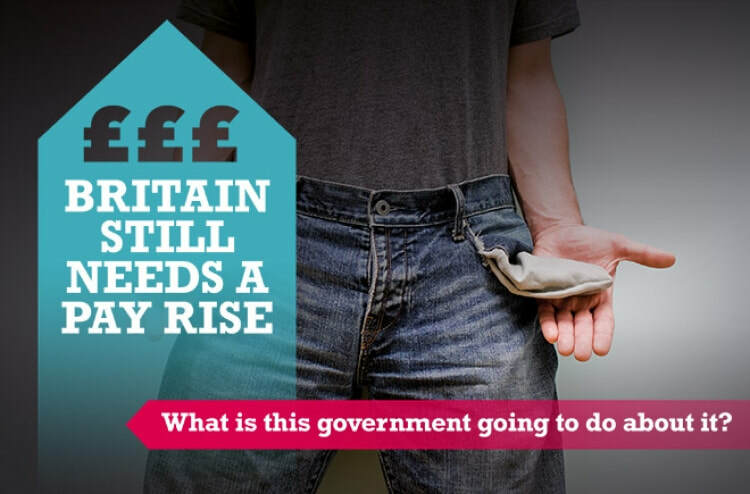 Calderdale Trades Council will be taking our new Sick of Being Skint? campaign into workplaces and onto the streets during Heart Unions Week 8 – 14 February 2017. 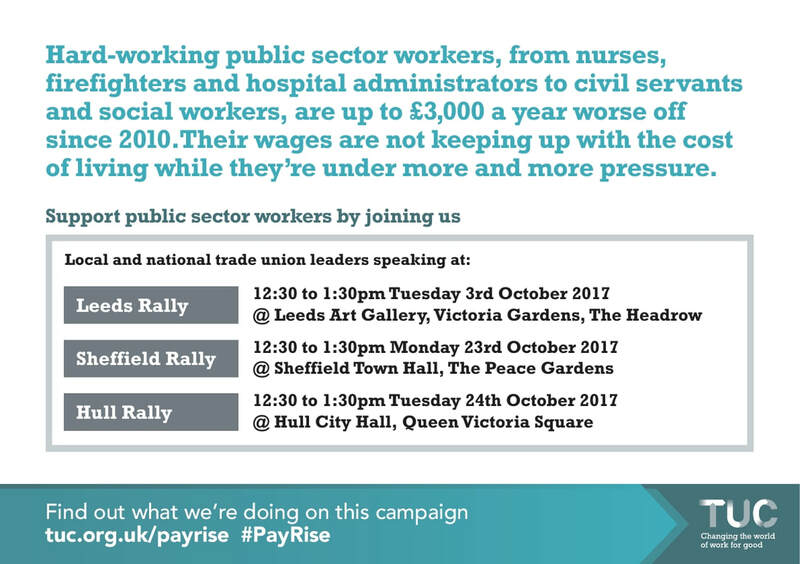 This campaign is Calderdale Trades Council’s contribution to the fight for all workers to be paid at least £10 per hour. We will be urging workers, especially young workers, to press for better pay and conditions at work through joining a union. 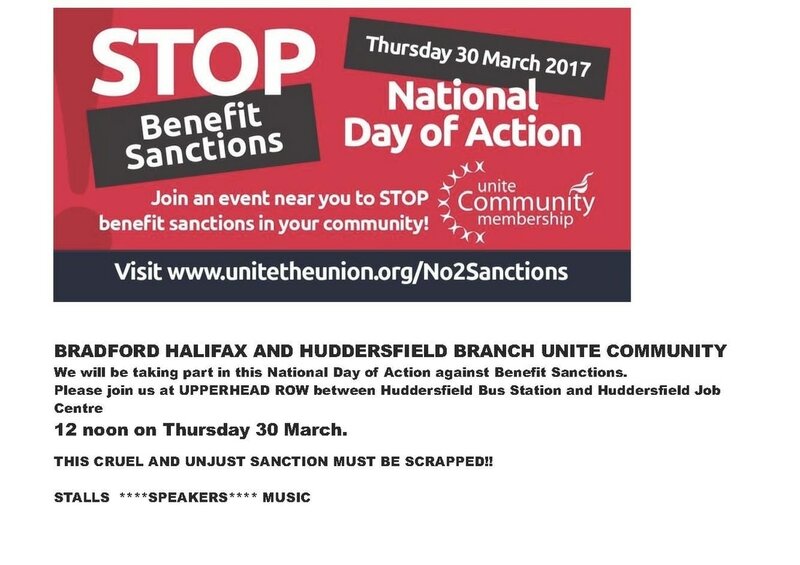 Wednesday 8 February: three sessions in Halifax, meet outside Central Library 9.30am, 2pm and 6pm – come along for a session or the whole day. Thursday 9 February: Hartshead Moor Service Station and Brighouse, meet 10am Hartshead Moor outside Welcome Break on the M62 Eastbound carriageway. Please contact us if you can offer lifts to Hartshead Moor Service Station or if you would like a lift. Saturday 11 February: two sessions in Halifax, meet outside Central Library 9.30am and 2pm – come along for a session or the whole day. 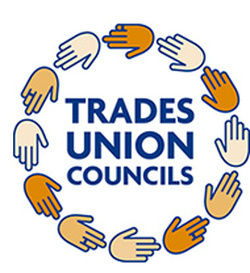 Heart Unions week is a week of activity throughout England and Wales promoting the benefits of trades unionism, raising the profile of unions in their communities and online. In 2017, Heart Unions Week will run from 8-14 February. In addition to Calderdale Trades Council's Sick of Being Skint? 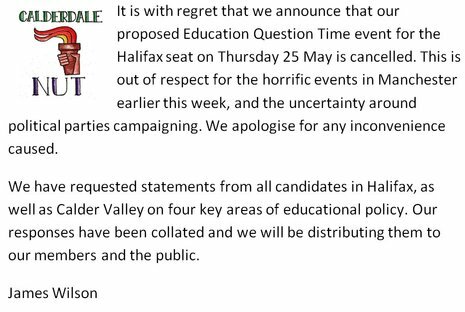 campaign, GMB will be holding a street stall in Halifax to speak directly with the public and local businesses about the real and genuine concerns facing Calderdale foster carers. Calderdale Council has decided to change Terms and Conditions for the borough's Foster Carers. The changes include reducing Foster Carers’ annual leave entitlement by a week and withdrawing payments when a family has no placement. GMB asserts that the latter would effectively place Foster Carers on to a Zero Hours Contract. According to the report to the Council on this issue, a representative of Calderdale Foster Carers Association advised that the proposed changes were the wrong way to recruit new foster carers and that the Council may lose existing foster carers as a result of these changes. 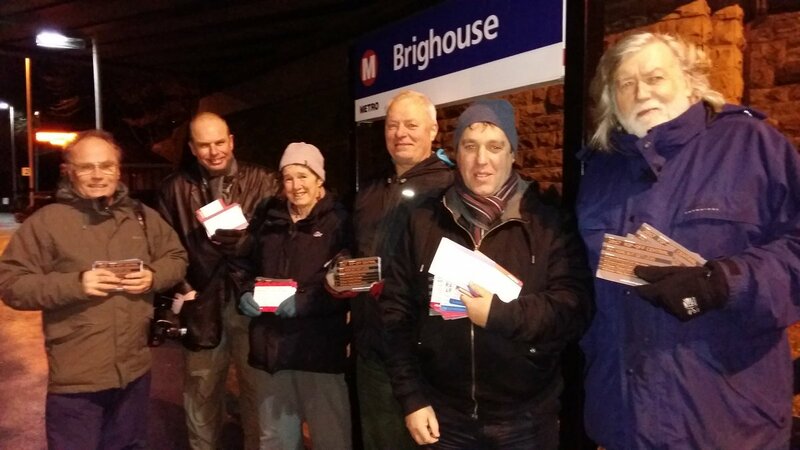 Leafletting Tuesday 3 January 2017, Brighouse Station, 4.30pm onwards, please join us. Action for Rail national day of action on 3 January 2017 is calling for public ownership, affordable fares and a properly staffed railway that is inclusive and accessible for all. 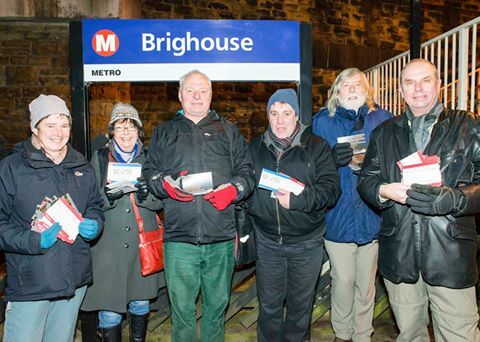 Members of Calderdale Trades Council and Calder Valley Labour Party leafletted at Brighouse Station.